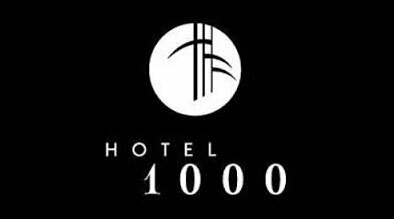 Hotel 1000 is a luxury hotel in Seattle that has won many accolades, including a recent selection as one of the top 200 hotels (#14 to be exact) in the U.S. by Conde Nast Traveler Readers’ Choice Awards. In early October 2011, the hotel decided to overhaul its website with a new look and features. The in-house marketing team and Milestone Internet Marketing, Inc. strategized ways to promote the new website, and decided upon a creative social media push. (tweet this) . The idea was to build custom Facebook tabs around a “Hotel 1000 Scavenger Hunt”contest. Visitors to Hotel 1000’s Facebook page would land on a default tab explaining the contest and encouraging them to become fans to participate. Once a fan of Hotel 1000, they would see the scavenger hunt questions that all had to do with sections of the new website. 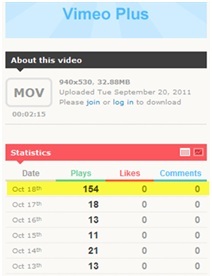 For example, one question asked what time a guest wakes up in the promotion video hosted on their homepage. Other questions asked about different sections of the new website. If the “test taker” needed a hint, they could click on a link for each question that took them to the appropriate webpage where they could find the answer. Each click out of Facebook contained tracking metrics. The Facebook Scavenger Hunt was well received by the Hotel 1000 Facebook fans and was a fun way for fans to learn about the new site. After the eight-week promotion ended, we analyzed the data. Results are shown below. The amount of daily views to the promotional video hosted on the Hotel 1000 homepage saw a 9x spike during the launch of the Facebook contest. In addition, every entrant provided an email address for use in future direct marketing campaigns. The results of this Hotel 1000 test case show that there are effective, creative, and engaging ways to announce significant brand changes and updates through social media strategies. Great case study – fantastic range of positive results! One question for you – there’s no mention of how this drove sales/reservations for the hotel. I’m dead certain it must have increased revenue, and I’m curious to know by how much. Percentage performance over the same period in the previous year would be cool to know, since that’s probably a more relevant number than comparing weeks before and after the promotion. Thank you! Hi Allen – Thanks for your comment. Yes, sales and revenue effects are definitely an important part of the measurement metrics. For this particular case study we were focusing on inbound and outbound traffic numbers, but we will be publishing future case studies focusing more specifically on revenue.